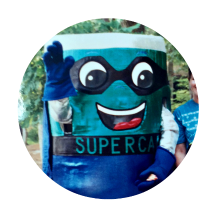 Supercan came on the scene in 1990 after being selected as ACUA's official mascot after a countywide contest among area students.His appearance changed a bit over the years, but one thing Supercan has always kept is his big smile and commitment to ACUA’s mission of protecting the environment and managing waste responsibly. 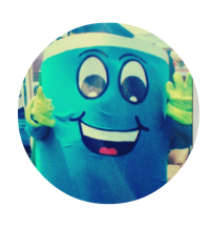 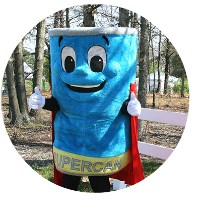 You can catch Supercan talking about his favorite subject, recycling, at schools, community events and around Atlantic County. 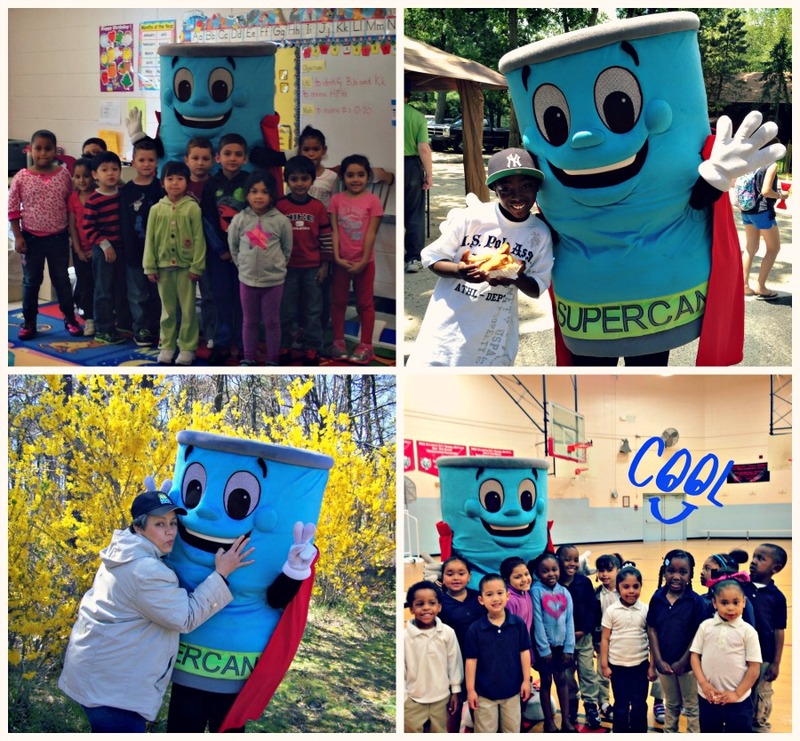 If you are interested in having Supercan attend your next event or school visit, please contact us at 609-272-6950 or fill out the form below. 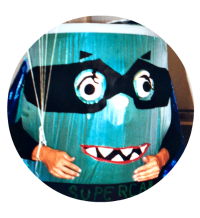 Make sure to use the hashtag #ACUASupercan when sharing photos of him on social media. 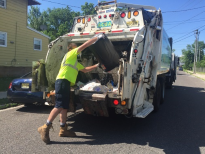 You can also ask him a question about recycling using the hashtag #AskSupercan.